The Federal Reserve is the central bank of the United States. 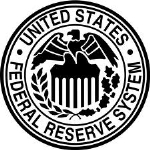 The Fed is made up of three parts: the Board of Governors, the twelve regional Reserve Banks, and the Federal Open Market Committee (FOMC). The curated Federal Reserve collections offer documents about the history and operations of the entire Federal Reserve System and its component institutions.